Are you hydrating yourself enough everyday? 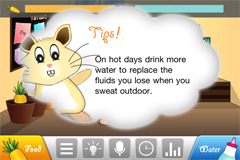 Are you so caught up with your everyday work that you have forgotten to drink enough water to keep yourself hydrated? Let the cute little Tataro remind you of that. 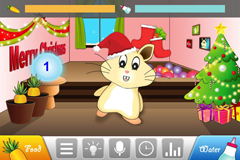 Tataro is a cute little creature that, when drank enough water will play and dance on your screen. However, do remember to feed it hourly (and also yourself) some water to keep it happy. 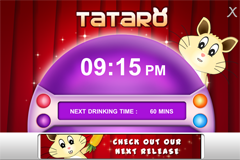 Tataro(Plus) version is an enchanced version of the lite version with a new charting feature, showing your drink record for the month. 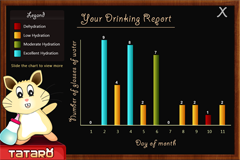 Plus version also allows the user to control the frequence for tataro to notify you to get hydrated. 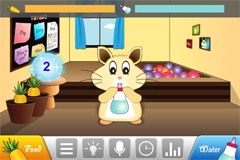 Ads have also been removed to enchance the interface appearance.